Orchestrada, founded in 2011, is an innovative arts organization not only for its performances as a leading symphony orchestra in one of the most competitive markets in the world but also in its commitment to adding value to the wider community, heavy focus on education, innovative collaborations across different artistic and non-artistic fields, and actively reaching out to forge international relationships. 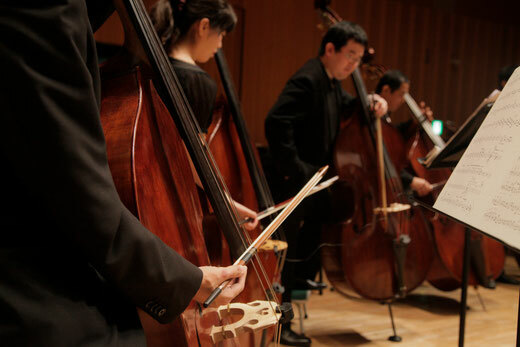 Orchestrada makes it its mission to bring together musicians and audiences of all ages and backgrounds, which often results in unique and moving performances in venues ranging from public school classrooms and hospitals to the largest concert halls in Tokyo, where, per our organization’s policy, a significant subsidized portion of the audience consists of people who usually do not get opportunities to attend such events e.g. the blind, ill, physically disabled. Also, our ticket pricing policy of a suggested donation rather than a set price has opened the door to members of a much wider demographic than previously known.